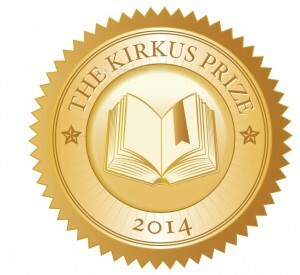 Kirkus Reviews has founded the Kirkus Prize, which consists of three awards--each with a prize of $50,000--honoring "outstanding writing by authors whose books have earned the Kirkus Star in the categories of fiction, nonfiction and young readers' literature." For the first round, all books with publication dates between October 1, 2013, and September 30, 2014, that received a Kirkus Star are automatically nominated for the prize. Panels of three judges--a writer, a bookseller or librarian and a Kirkus critic--will select finalists and winners. Six finalists in each category will be announced on September 30, and the three winners will be announced at a ceremony in Austin, Tex., on October 23. Some 800-1,000 books annually receive Kirkus Stars, including self-published titles in Kirkus Reviews' indie section. Marc Winkelman, president and publisher of Kirkus Media, commented: "Since relaunching Kirkus Reviews in 2010, the company has enjoyed tremendous growth. Everyone at Kirkus feels a deep responsibility to our readers and the publishing industry; this prize is a symbol of that commitment." Claiborne Smith, editor-in-chief of Kirkus Reviews, said: "At a moment when the publishing industry is rebounding from the recession and adapting to the many changes thrust upon it, we wanted to create the Kirkus Prize to put a spotlight on writers who remind all of us why we got into publishing in the first place."